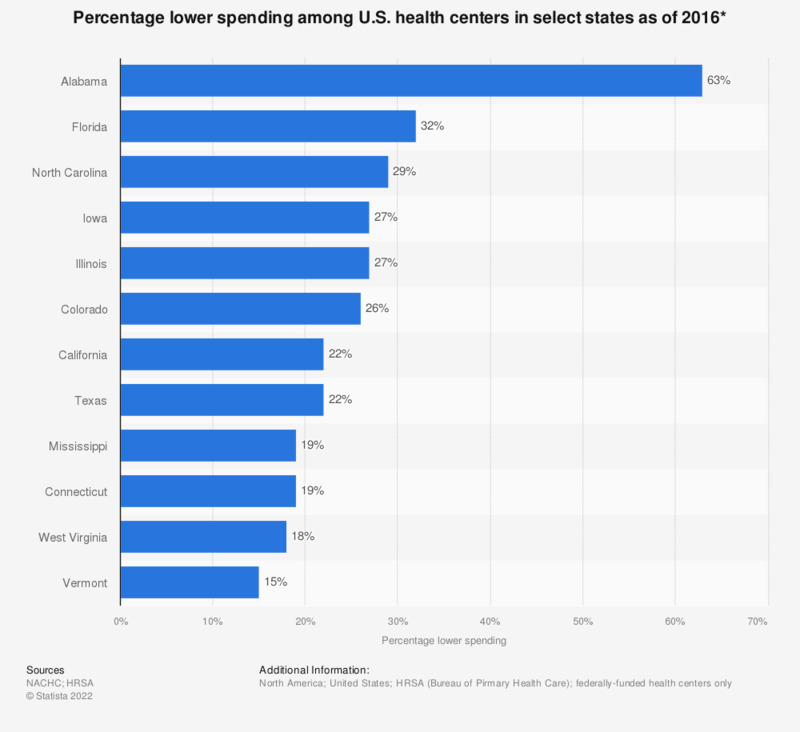 This statistic depicts the percentage of decrease in spending in health centers among select states in the U.S. as of 2016. According to the data, Alabama's health centers had 63 percent lower spending than other providers. * Compared to other providers. Other providers include private physicians offices and outpatient clinics. Montana was included in the national-level analysis, but did not have a large enough sample size to be included in the adjusted state-level analysis.